1. Is your blog post consistent in format? The more consistent your blog is, the more professional it comes off. Are you consistent with how you spell/type words and phrases (e.g., “Q&A” versus “Q and A”)? Our blogs follow the AP Style format. Do you consistently categorize your blog posts (e.g., Art, Music, Fashion, etc.)? This helps readers easily navigate through your site. 2. Have you proofread your post? Bad grammar and typos can really hurt your blog. Did you reread your post more than once? Can you possibly ask someone else to look over your post? 3. 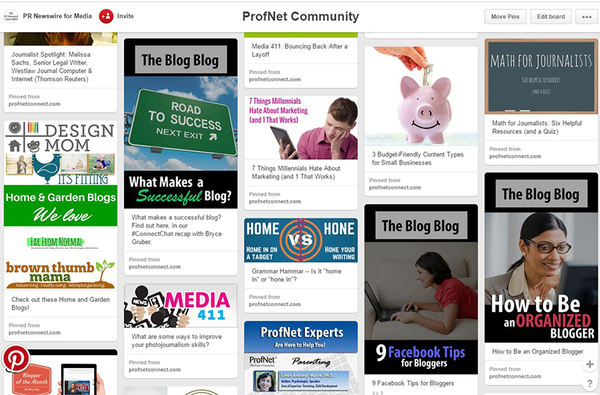 Does your blog post contain at least one pinnable image? Images make blog posts more enjoyable to read. They are easy on the eye and even break up lengthy blocks of text. Every blog post should contain at least one pinnable image. Overlaying text onto the image also makes the picture more appealing on Pinterest. Take a look at our board, and see which pins stick out the most. Your pinnable images should give people a reason to repin your image, or better yet visit your blog. 4. Is your blog post SEO-optimized? Your blog traffic will not increase if people can’t even find your blog – no matter how amazing your content is. Having keywords in your post’s title can help people find your article. Think about what people search for on Google (e.g., “How to Start a Blog” or “10 Easy Summer Fashion Tips” or “An Easy Recipe for Chicken Pot Pie”). Also, make sure some of those keywords lie within the text of your blog post. 5. Have you added titles and alt text to your images? Adding titles and alt text to images you upload makes them more likely to appear in search results. For example, if someone searches “cute baby boy” under images in a search engine, your image is more likely to pop up in results if it contains the words “cute,” “baby” and “boy” in its title or alt text. 6. Have you checked your links? Did you include internal links? Did you test-run your links? With any link (internal or external) you include in your blog post, always check if they work. One little character can throw off the whole link. I also like to click the option to “open in a new window.” This way, if the reader wants to finish reading my post after clicking a click, he/she does not get lost in navigation. 7. Did you provide a call-to-action? You’d be surprised what a simple question at the end of a blog post does. It can evoke comments and conversation. On top of that, if you’re blogging for a business, do not forget to include a link to where to buy your product – make things easy for your readers. I always tell people to assume their readers are lazy. Furthermore, do not forget to include visible contact information or other ways to be reached – email address, social media links, etc. 8. Would your own post appeal to you? 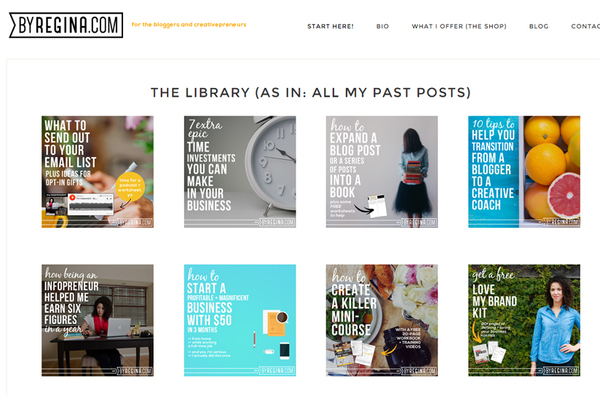 As you scroll down your page, does your blog post look boring? Would you be interested in reading it? Are there big chunks of text that don’t look appealing to read? Formatting can make a huge difference when deciding whether or not to read your post. Don’t just think numbered lists and bullet points – add images, videos. Embed tweets or vines. Infographics are great too. Make your posts fun to read! 9. Is your post easy to understand? Sometimes a blogger can become too comfortable writing in his or her own voice. Reread your blog post and see if you’ve said something that another reader may not understand. Did you use any shorthand, slang, abbreviation, or references your reader may not get? If so, try to explain it, or even link the phrase to an article, YouTube video or website. 10. Are you proud of your post? 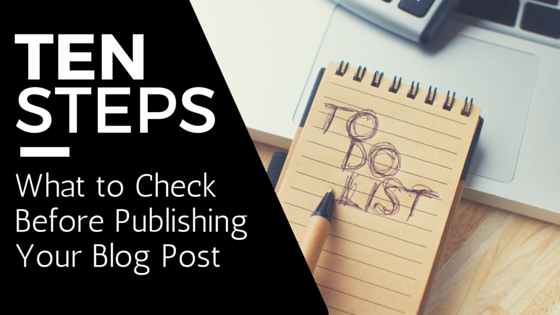 This is the *most important* question to ask yourself before publishing your post. Every time I click publish on Diaper Etiquette, I must say I am proud of what I write and the original photography I’ve uploaded. The more proud you are of your post, the more effortless it becomes to share your work. Melissa Ibarra was an online community services specialist at ProfNet, a service that connects journalists with expert sources. In the past, she has worked for CBS Sports and News 12 NJ and done freelance reporting for New Jersey News Room and Reel Reporting. She specializes in social media, graphic design, and video production. Follow her media journey @melibarraTV.